Sciblogs | What public health lessons can NZ still learn from the United States? What public health lessons can NZ still learn from the United States? The United States has many major health problems – including declining life expectancy and an exorbitantly expensive health care system. However, the large number of state and local governments provide a wealth of potential lessons that NZ could learn from. In this blog we briefly consider some of these, particularly in the domains of support for nutrition and physical activity, tobacco and alcohol control, and pollution control. The US has declining life expectancy – associated with such problems as the epidemic of opioid addiction and overdoses. It also has an extremely expensive health care system by OECD standards, due partly to high administrative costs . There are even the peculiarities of health agencies being “banned” from using certain words , lack of adequate gun control and the political constraints on research (eg, federal prohibitions on firearms research ). But despite these issues, parts of this large and diverse country are quite progressive in some public health areas. Here we look at some of these that NZ could potentially consider learning from in some form. Adopting soft drink taxes which are now in place in five US cities . Favourable evidence for impact comes from the city of Berkeley in California  , and well as from outside the US eg, from Mexico . These new taxes in US cities typically earmark the tax revenue for health or educational services – which probably increases the public and political support for their implementation. Usage of voucher systems for use at farm-to-consumer retail outlets (eg, farmers markets, farm/roadside stands) to increase fruit and vegetable consumption among low-income people and their families. There is growing evidence for the success of such interventions eg, . In some cities, there has been good adoption of cycling infrastructure and the evaluation of this. For example, a study of investing in bicycle lanes in New York City suggested a cost of only $1300 per quality-adjusted life-year (QALY) gained . 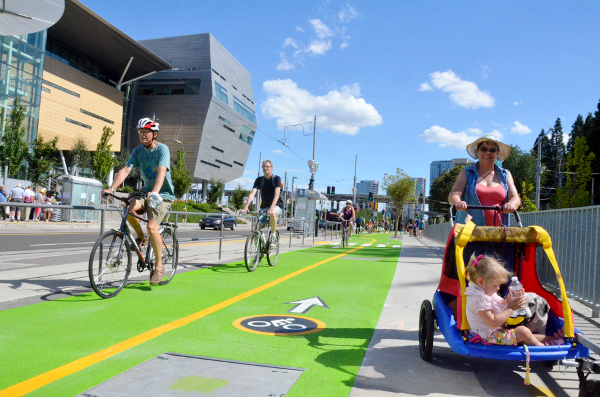 In Portland Oregon, a study of bicycling infrastructure reported that: “The benefit-cost ratios for health care and fuel savings are between 3.8 and 1.2 to 1, and an order of magnitude larger when value of statistical lives is used” . Municipal investment in off-road trails has also been found to benefit bicycle commuting in the city of Minneapolis . The denormalisation of smoking, including outdoor smokefree laws: e.g., covering shopping areas; stadiums and the eating/drinking areas outside of pubs and restaurants (sometimes described as patios in the US) (see examples here and here). Smokefree car laws for protecting children (eg, in the state of California and at least nine other US states/territories, see also here). Higher age limits on tobacco purchasing of 21 years in many US jurisdictions (vs 18 years in NZ). Greater use of tobacco-related mass media campaigns (eg, the truth campaign and the truth FinishIt campaign) . In contrast, the low level of funding such campaigns in NZ has been well described . Despite delays and dilution, greater information is given to smokers and the public on tobacco company activities  . In 23 states and Washington DC, alcohol retailers are required by law to post alcohol warning signs that warn against the risks of drinking during pregnancy. There is some evidence that these signs are associated with decreases in the odds of very low birth weight and very pre-term birth . In contrast NZ has only a voluntary system for health warnings on beverage containers – and these are usually miniscule in size. A successful market-based emissions markets for sulphur dioxide from electricity generation . This approach may be relevant to NZ if the government wishes to accelerate the phase out the use of coal by industry (but having a more functional emissions trading scheme for reducing greenhouse gas emissions might be a better alternative). Various regulations appear to have reduced levels of nitrous oxides (NOx), sulphur oxides (SOx) and fine particulates in the air of Southern California . These cover regulations for cleaner fuels, for vehicle emissions and NOx and SOx; and there is also a regional incentives market (for the list of all the interventions see here). The NZ Government (and local governments in NZ) need to determine what are their own health priorities. This can consider the likely health impact for the local population, impact on health inequalities in NZ, and aspects of cost-effectiveness (with the latter discussed in various Public Health Expert Blogs on league tables, see here). But when interventions are in place in other jurisdictions, as the above ones are in at least parts of the US, then this can be helpful for NZ policy-makers. Besides providing evidence of effects, the use of the interventions suggests some level of political feasibility and popular acceptance of the policy. New Zealand should continue to learn public health lessons from such places. Hagenaars LL, Klazinga NS, Mueller M, Morgan DJ, Jeurissen PPT. How and why do countries differ in their governance and financing-related administrative expenditure in health care? An analysis of OECD countries by health care system typology. Int J Health Plann Manage. 2017. Sun L, Eilperin J. CDC gets list of forbidden words: Fetus, transgender, diversity. Washington Post (15 December 2017). https://www.washingtonpost.com/national/health-science/cdc-gets-list-of-forbidden-words-fetus-transgender-diversity/2017/12/15/f503837a-e1cf-11e7-89e8-edec16379010_story.html?tid=a_inl&utm_term=.6c91e39663f7. Ladapo JA, Rodwin BA, Ryan AM, Trasande L, Blustein J. Scientific publications on firearms in youth before and after Congressional action prohibiting federal research funding. JAMA. 2013;310(5):532-534. Singleton CR, Opoku-Agyeman W, Affuso E, Baskin ML, Levitan EB, Sen B et al. WIC Cash Value Voucher Redemption Behavior in Jefferson County, Alabama, and Its Association With Fruit and Vegetable Consumption. Am J Health Promot. 2017:890117117730807. Gu J, Mohit B, Muennig PA. The cost-effectiveness of bike lanes in New York City. Inj Prev. 2017;23(4):239-243. Gotschi T. Costs and benefits of bicycling investments in Portland, Oregon. J Physical Activity Health. 2011;8 Suppl 1:S49-58. Hirsch JA, Meyer KA, Peterson M, Zhang L, Rodriguez DA, Gordon-Larsen P. Municipal investment in off-road trails and changes in bicycle commuting in Minneapolis, Minnesota over 10 years: a longitudinal repeated cross-sectional study. Int J Behav Nutr Physical Activity. 2017;14(1):21. Evans WD, Rath JM, Hair EC, Snider JW, Pitzer L, Greenberg M et al. Effects of the truth FinishIt brand on tobacco outcomes. Prev Med Rep. 2018;9:6-11. Edwards R, Hoek J, van der Deen F. Smokefree 2025–use of mass media in New Zealand lacks alignment with evidence and needs. Aust N Z J Public Health. 2014;38(4):395-396. Kollath-Cattano CL, Abad-Vivero EN, Thrasher JF, Bansal-Travers M, O’Connor RJ, Krugman DM et al. Adult smokers’ responses to “corrective statements” regarding tobacco industry deception. Am J Prev Med. 2014;47(1):26-36. Lochbuehler K, Tang KZ, Souprountchouk V, Campetti D, Cappella JN, Kozlowski LT et al. Using eye-tracking to examine how embedding risk corrective statements improves cigarette risk beliefs: Implications for tobacco regulatory policy. Drug Alcohol Depend. 2016;164:97-105. Cil G. Effects of posted point-of-sale warnings on alcohol consumption during pregnancy and on birth outcomes. J Health Econ. 2017;53:131-155. Zipper CE, Gilroy L. Sulfur Dioxide Emissions and Market Effects under the Clean Air Act Acid Rain Program. J Air Waste Manag Assoc. 1998;48(9):829-837. Lurmann F, Avol E, Gilliland F. Emissions reduction policies and recent trends in Southern California’s ambient air quality. J Air Waste Manag Assoc. 2015;65(3):324-335.